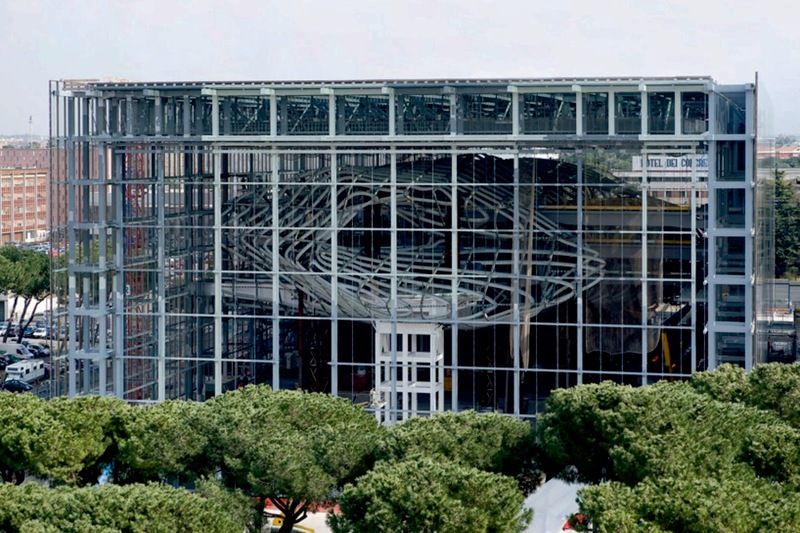 Fuksas’ project is the response to a competition held in 1998 by the Council of Rome to reinforce the international image of the Italian capital in the panorama of congress and international meetings. The building will surface at the junction of 4 major roman arteries on a vacant parking lot. 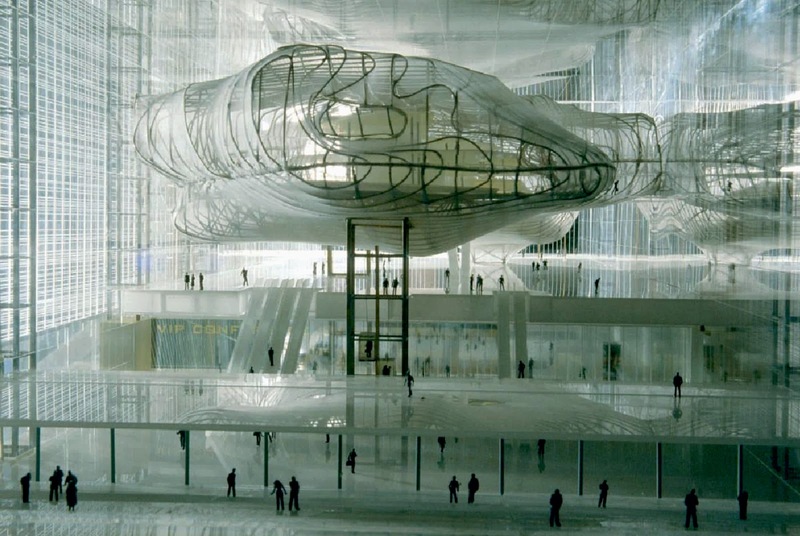 It will present itself as a translucent parallelepiped, 39 metres high, 75 m. wide and 198 m. long. On two sides squares will open to the neighbourhood and the city and offer natural gathering spaces for the site users. The simplicity of the exterior shape pays tribute to the linearity of rationalism in architecture, the movement that in the 1930’s produced the iconic buildings that still characterize the horizon of the EUR business district and the nearby Conference center designed by Adalberto Libera. “The idea came to me in a very special moment. I was at the seaside, a group of clouds where being blown quickly across the sky by a strong wind. 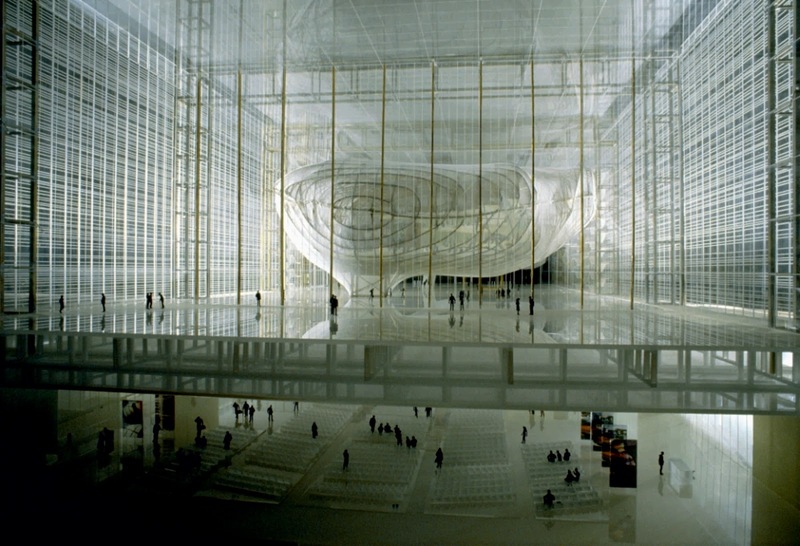 As I looked at the clouds I remembered a dream I had had, which involved constructing a building that had no crystallized form at all” says Massimiliano Fuksas. The building is an translucent container that extends lengthways, on each side a square opens on to the immediate area and the city. The first converses directly continuously with the local area and can be crossed from viale Europa to viale Shakespeare. 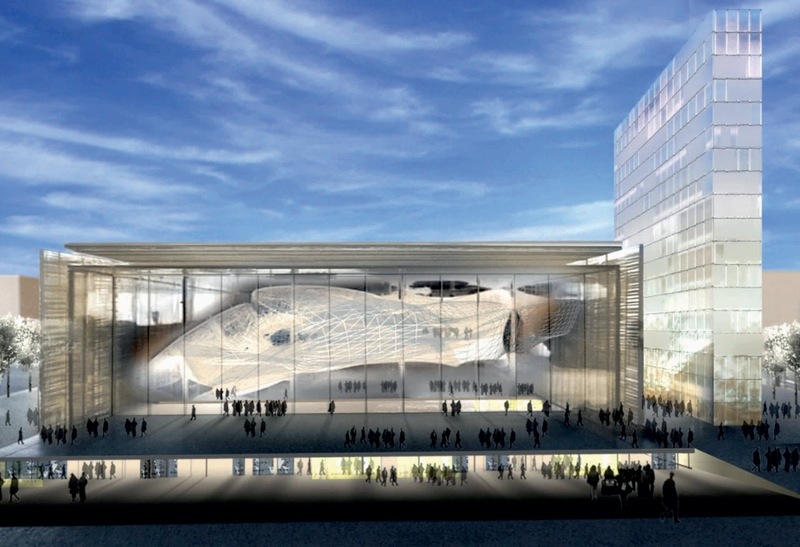 Inside the container, a 3500 sq m cloud of steel and glass fibre is suspended on a surface of 10, 000 sq m: it will be the home of an auditorium with a capacity of 1800 seats. 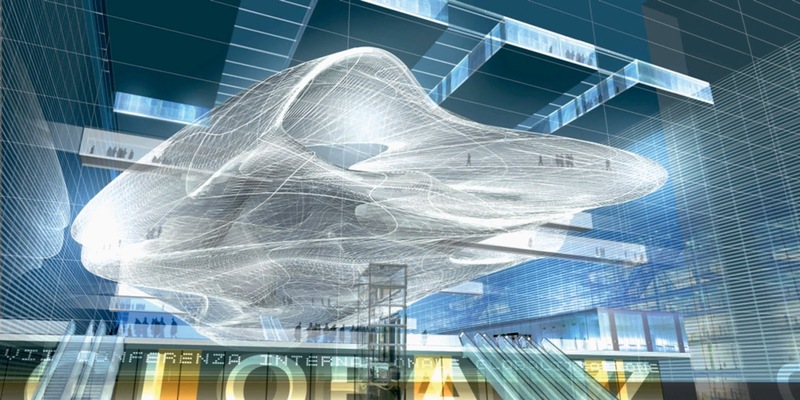 The cloud will be held in place by an orthogonal grid of woven beams: suspended between the pavement and the ceiling of the big congress hall it will exclusively rest on three vertical elements. 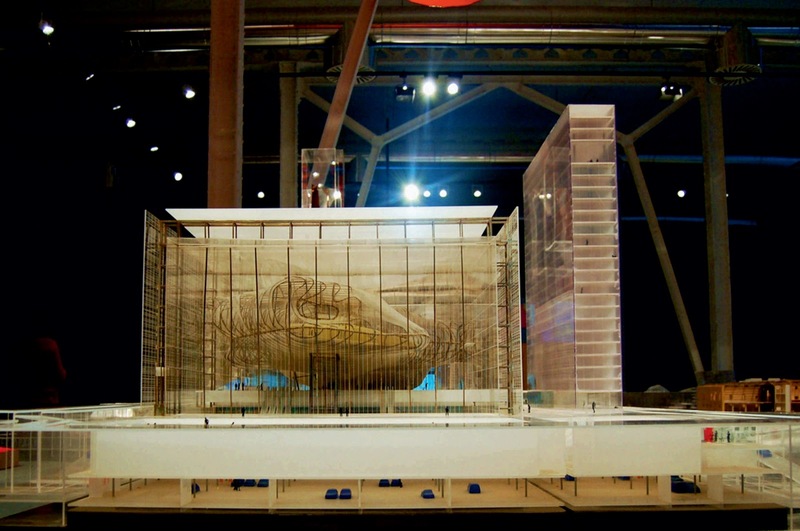 When the cloud, supported by a thick network of steel cables and suspended between the floor and the ceiling of the main conference hall, is lit up, the building seems to vibrate. The construction also changes completely depending on the viewpoint of the observer. 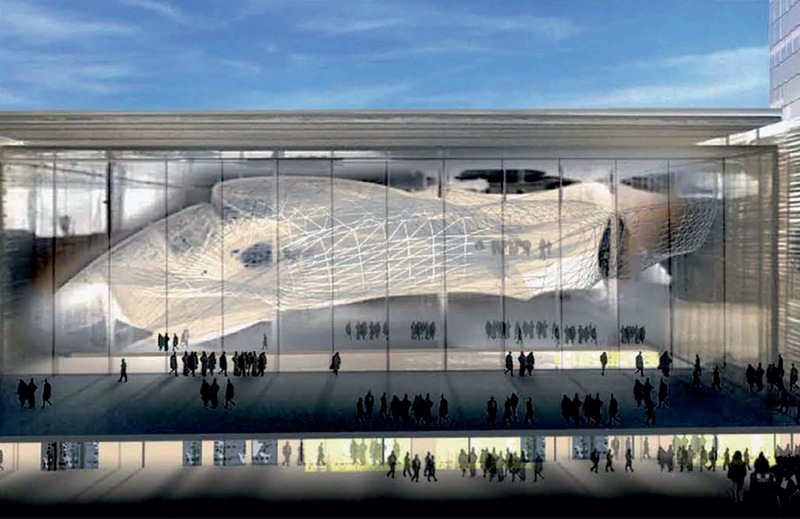 The New Centre of Congress will also house 2 conference rooms of 5000 and 3000 sq m each. 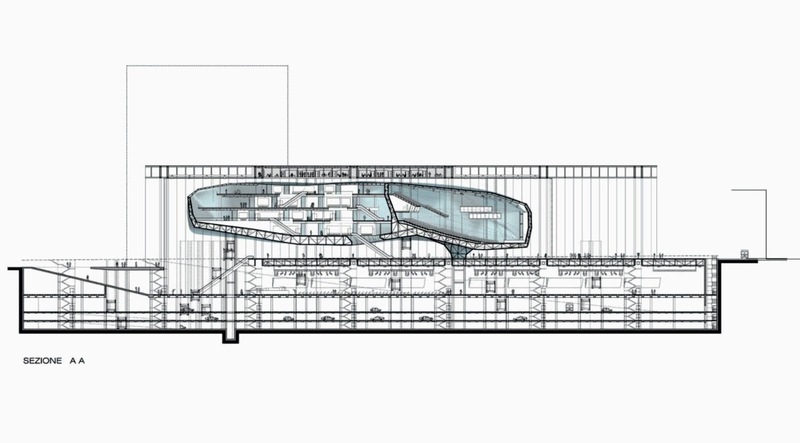 In addition the center will also contain three halls and spacious foyer, cafè and restaurant areas, covering a total multi-functional space of 15.000 square meters. 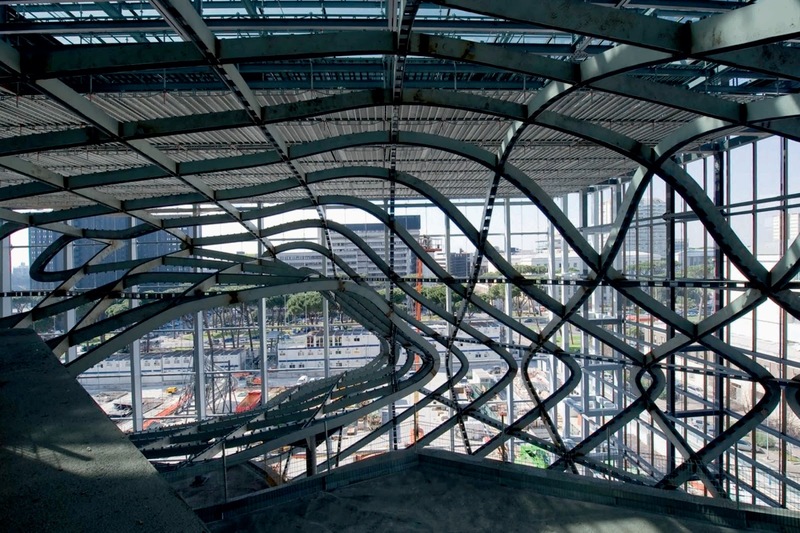 A grand stair will link the building to the outside plaza. 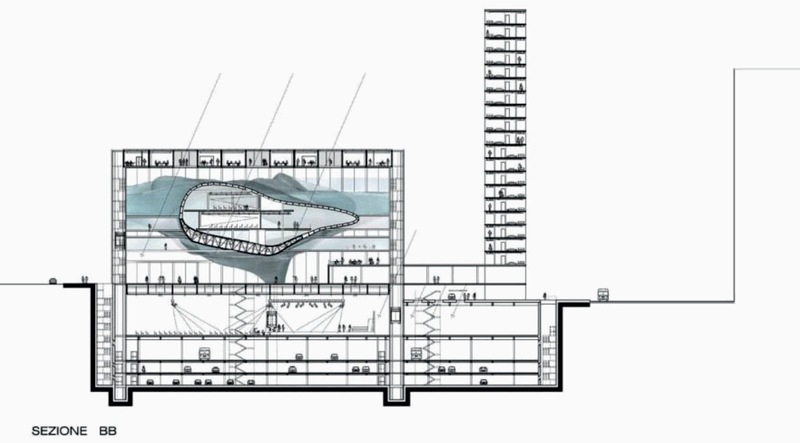 An independent building called the ‘blade’ will house a hotel with 441 rooms.